2015 was a great year at Scram Speed. 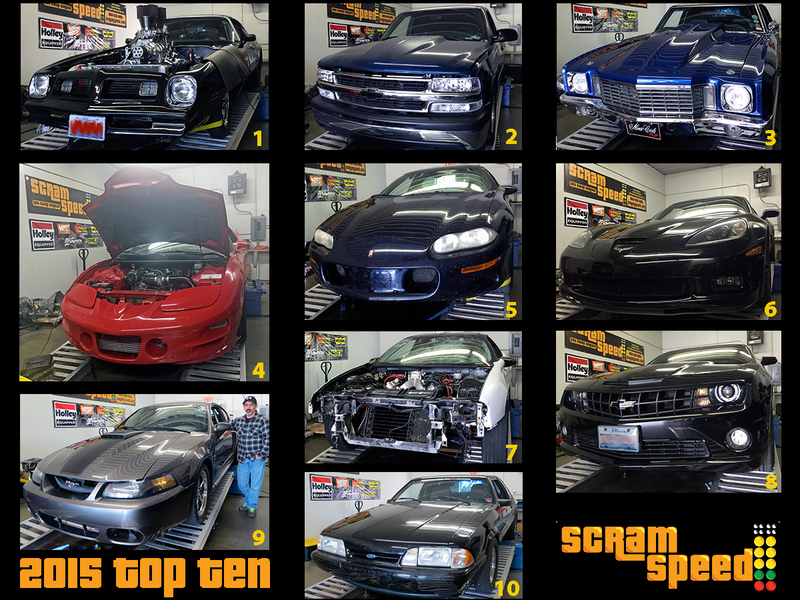 Even though we started late in the year, our inaugural Top 10 Dyno list was a big hit. The top 5 cars were within 40 rwhp. 2016 will be even better! Trophies, T-shirts, and the envy of your fellow enthusiasts. Bring your ride and get on The List!